You may not be able to get in to College, but that doesn’t stop you doing something useful with your day. 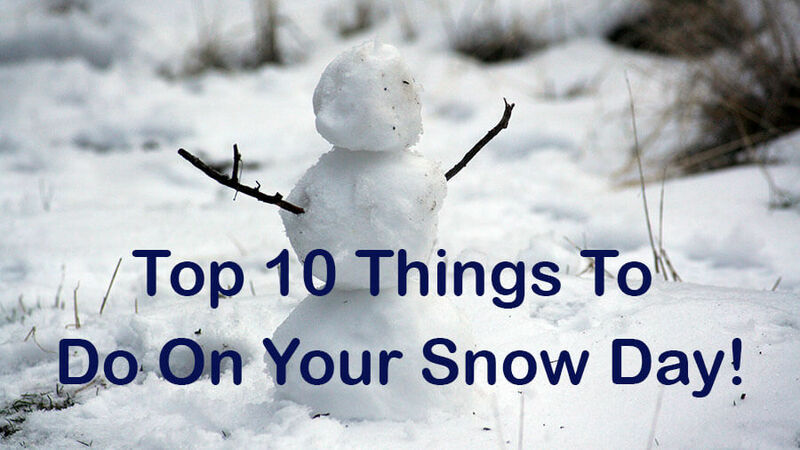 Here are ten things that you could do today that will help you get the best out of your snow day. Tidy your room. Never seem to have the time to get your stuff organised? Well you have today! Here’s a website that says you can do it in just TEN minutes. Go on – you’ll get a great sense of satisfaction when it’s done and you can see the floor again. Go retro with your music. Do you listen to the same music over and over? Why not seek out some music you’ve never listened to. You can look on a music streaming service for playlists that you’d never normally think about downloading – you might be in for a nice surprise! Check out 25 Spotify Playlists. Read a book. Not new or controversial – but when was the last time you sat quietly for any length of time and immersed yourself in a book? It doesn’t have to be 700 pages long, it doesn’t even have to be fiction, just find a quiet spot, open a book and start reading. If you haven’t got any physical books in the house that you haven’t read, download one to your iPad or computer. Play a board game. If you’re not on your own today, how about suggesting you play a board game? Remember how much fun Cluedo was? Well it still is! Board games are great for spending quality time with family and friends – just don’t cheat and don’t have an argument about who has put a hotel on Mayfair! Have a look at the 92 Best Board games of all time for inspiration. Bake a cake – in a mug! Everybody needs a treat on a cold day and what could be better than baking a cake in five minutes from start to finish? With this recipe you shouldn’t even have to do any shopping – it uses things likely to be in your food cupboard already. Follow it carefully and in a few minutes you could be sitting down to enjoy a delicious chocolate cake. Do a random act of kindness for someone in your family. Is there something you could do for someone you live with that you know would make their day? It might be tackling the pile of ironing, sorting the recycle box out, taking the dog for a walk or just telling someone how much you appreciate all they do for you. It’s even been proved to be as beneficial to you as to the person you are kind to. Watch the Science of Kindness video for proof. Enter our Instagram competition. Want to chance to win £20 of High Street Vouchers? Take a photo of what you have done on your snow day, upload it to Instagram and use the hashtag #bcsnowday. Then like our page @barnsley_college. 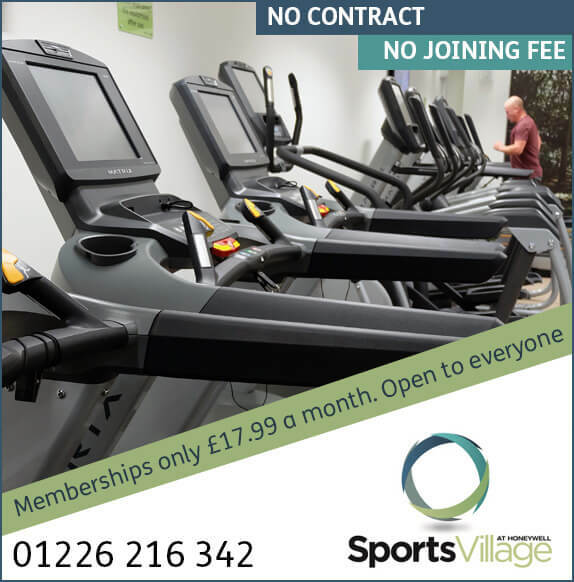 We will pick the best one on Monday and someone will be £20 better off! Finally – prepare yourself for getting back to College on Monday! We think our students are brilliant – you come to College every day, study hard and do great things. College snow days are very, very rare and that’s good as we all know how important your education is for you. We can’t wait to see you back in College on Monday, ready to crack on and work towards your goal.